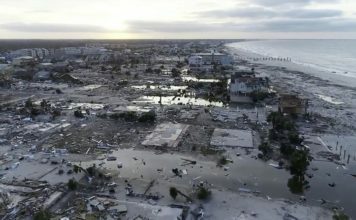 The death toll from Hurricane Michael has jumped to at least 12, and FEMA Administrator Brock Long said he expects that number to continue to rise. As of Friday morning, more than 1.4 million utility customers from Florida to Virginia were without power. Thousands of National Guard troops and emergency workers are helping the survivors. On Friday morning, Michael’s remnants were over the Atlantic Ocean, lashing the New England coast with strong winds and heavy rain. A tree fell on top of a vehicle and killed a passenger in North Carolina, the state’s Emergency Management agency confirmed to CBS News on Friday morning. It’s second-known death in the state caused by Hurricane Michael and the 12th nationwide. Emergency Management spokesman Keith Acree said the accident happened in Marion, which is northeast of Asheville. North Carolina Gov. Roy Cooper urged people not to swim along the state’s coastline this weekend because of strong riptides and heavy surf caused by Michael, which has moved into the Atlantic. “It’ll be a beautiful weekend at the beach, but it’s not a time to go in swimming,” Cooper said during a press conference Friday morning. Hundreds of roads were closed across the state, many of them blocked by trees, Cooper said. Some roads were washed out. Cooper urged motorists not to drive around barricades. “Those roads are closed for a reason,” he said. A Virginia firefighter died while responding to a crash north of Richmond as Michael lashed the state. The Hanover County Fire-EMS Department said Fire Lt. Brad Clark died when a tractor-trailer struck his fire engine at the scene of a two-vehicle crash around 9 p.m. Thursday. The department said that the fire engine had its lights and other emergency equipment activated but roads were slick and storm conditions were heavy. The state medical examiner’s office has ruled that Clark’s death was among five storm-related fatalities in the state. Authorities said two others in Clark’s crew were seriously injured. The truck driver had to be extricated and also suffered serious injuries. FEMA Administrator Brock Long warned people Friday not to go back to the areas that Hurricane Michael hit the hardest. “It’s still not safe to return, particularly to Bay County, Florida,” Long said. Mexico Beach, which officials have called “ground zero” for hurricane damage, and Panama City are in Bay County. Tyndall Air Force Base, which the Air Force has said was severely damaged in the storm, is also in the county. 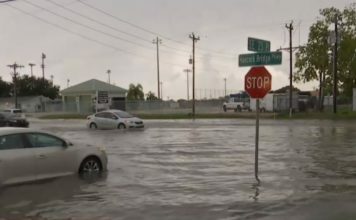 Entire cities along Florida’s Panhandle are unrecognizable, CBS News correspondent Omar Villafranca reports from Mexico Beach. 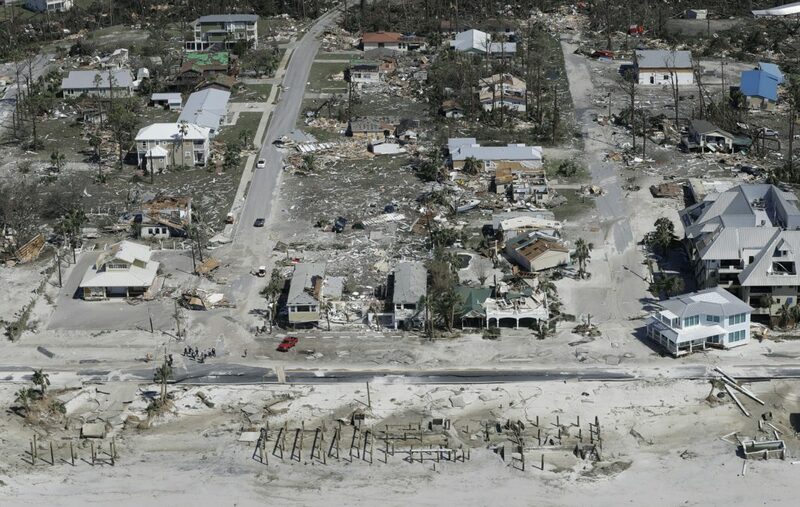 Homes and businesses were ripped from their foundations, trailers were split open and tossed aside like toys, and a coastline was carved up by relentless, surging waves. “I never in my life would I ever dream that I would go through something like this,” Jackie Grable of Port St. Joe told Villafranca. Just up the coast, officials called Mexico Beach “ground zero” for hurricane damage. The destruction is catastrophic, and it stretches for miles in every direction. Help is arriving. Rescue teams with dogs searched what was left of Mexico Beach on Thursday, combing through piles of debris stacked 20 feet high. “This area is not going to be back to normal for a long time,” said Danny Simon of Louisiana Task Force 1, an emergency response team that just finished a 17-day deployment in North Carolina and South Carolina after Hurricane Florence. Nearly 300 people in the area stayed behind to ride out Wednesday’s storm. Many were still unaccounted for on Friday morning. Shortly after 10:30 p.m., special agents with the Virginia State Police Bureau of Criminal Investigation and local volunteer firefighters found King’s body downstream. As of 5 a.m. Friday, Michael’s core was 85 miles east-northeast of Norfolk, Virginia and 275 miles southwest of Nantucket, Massachusetts, speeding east-northeast at 29 mph, the NHC said. It was still packing 65 mph maximum sustained winds. The hurricane center forecast that, “The center of Michael will move away from the United States today and move rapidly across the open Atlantic Ocean tonight through Sunday. As of 2 a.m. EDT, Michael’s core was some 65 miles east-northeast of Norfolk, Virginia with maximum sustained winds of 60 mph. It was heading northeast at 25 mph — very fast for a storm. According to the NHC, “On the forecast track, the center of Michael will move away from the coast of the United States during the next few hours and then begin to race east-northeastward across the northwestern Atlantic Ocean.